Chef Ruben’s tres leches cake – the inspiration for this challenge! Link up to the tres leches party! So hello fellow tres leches cake-making friends! Hope you had fun and didn’t get into a little panic like I did! 🙂 I can’t wait to see what you’ve made and I know we’d all love to read about each other’s milky masterpieces and adventures. So please add the link to your tres leches post in the comments section below, plus any information (a few sentences) you’d like to have included here, like ‘Absolutely delicious!’ I’ll transfer the link and comment to the main body of this post so readers can find them more easily. And if you don’t mind I’ll try posting a photo of your cake too next to the link? If ‘technology’ allows me! 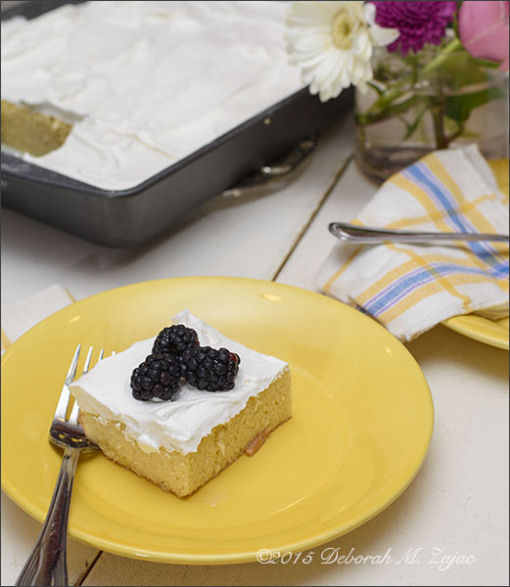 Here’s a BEAUTIFUL CLASSIC TRES LECHES CAKE by DEBORAH of Circadian Reflections. Now here’s the link and photo for a very exciting ALLERGY-FRIENDLY COCONUT TRES LECHES CAKE from NINA of Healing with Food. It’s beautiful and the raspberries will go really well with it! Great for all you guys who’d like a gluten and dairy-free version. Hurray! Nina uses gluten free baking flour, but do go over and visit her to find out how she made the three milks cake without milk and also uses coconut oil! 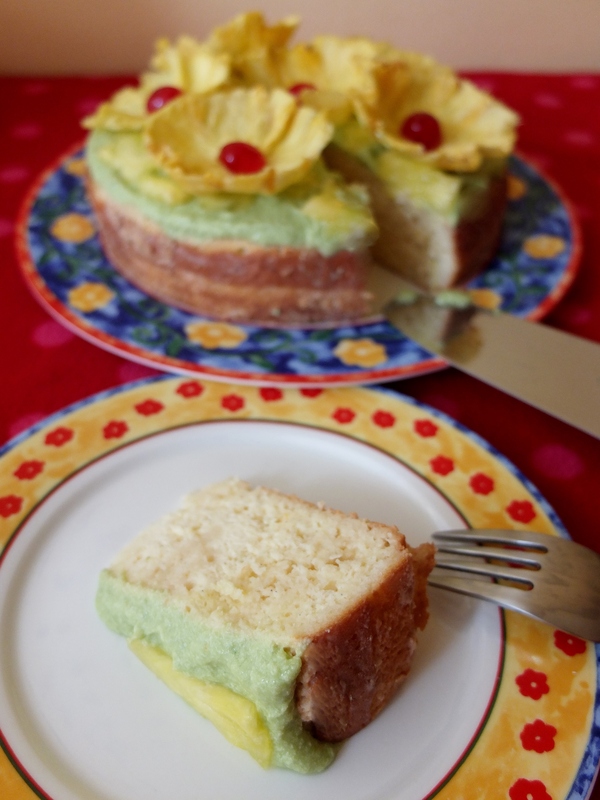 And the next version is a beautiful EXOTIC LEMONGRASS COCONUT TRES LECHES CAKE by Ten.times.tea. Then comes the next photo and link for Sridevi’s super-moist-looking CLASSIC TRES LECHES CAKE with MILK CHOCOLATE TOPPING!!! over at Coconut craze. This is one that Albert the Dog helped make! 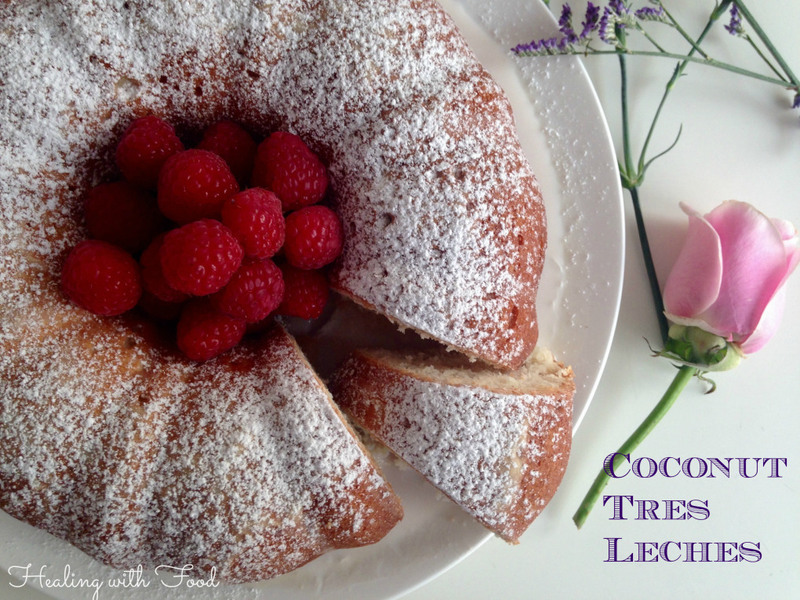 Another beautifully moist version, a COCONUT TRES LECHES CAKE with a TOUCH OF LIME! (article: How to help your human bake a cake: a guide for dogs). Not only do you get a recipe but you can also enjoy reading about Albert’s hilarious adventures making the cake with his lady! You really have to see the lovely photo of Albert the Dog with his chef’s hat! It’s such a beautiful photo and cake!! I’d say it looks very professional and I’m starting to crave a whipped cream topping after looking at this and some of the other tres leches cakes here! There’s also a great idea involved for the topping, which gives it a little crunch! Actually, every time I see everyone’s tres leches cakes I just go WOW! And the first time you were making it too! Impressive. I’d like to make ALL the versions! They look so yummy! P.S. If you’re suddenly inspired there’s an extended deadline for everyone – you can have the weekend to make the cake and just send a photo and comment to liliscakes@liliscakes.com or to the facebook page if you prefer not to write a post. All tres leches cakes are welcome! 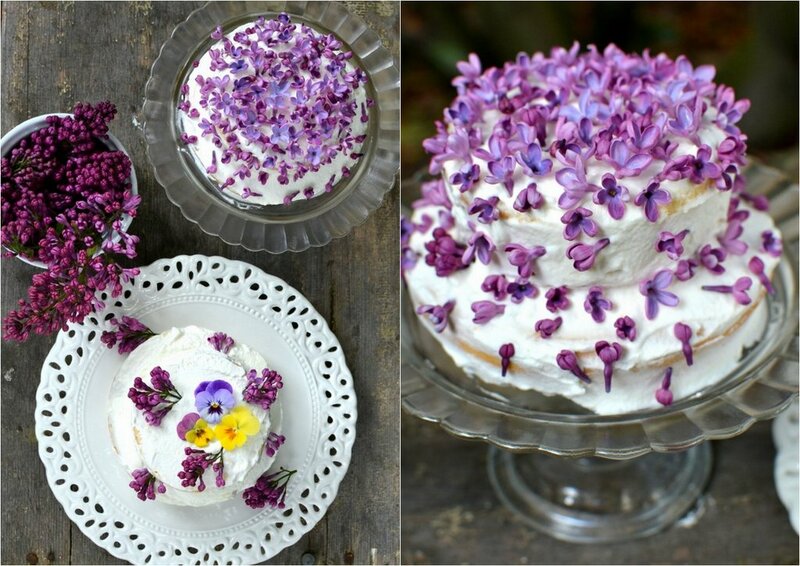 BEAUTIFUL TRES LECHES CAKES FROM THE PAST! TRES LECHES IS THE MOST DELICIOUS CAKE IN THE WORLD!!! Thank you for this challenge, Lili! 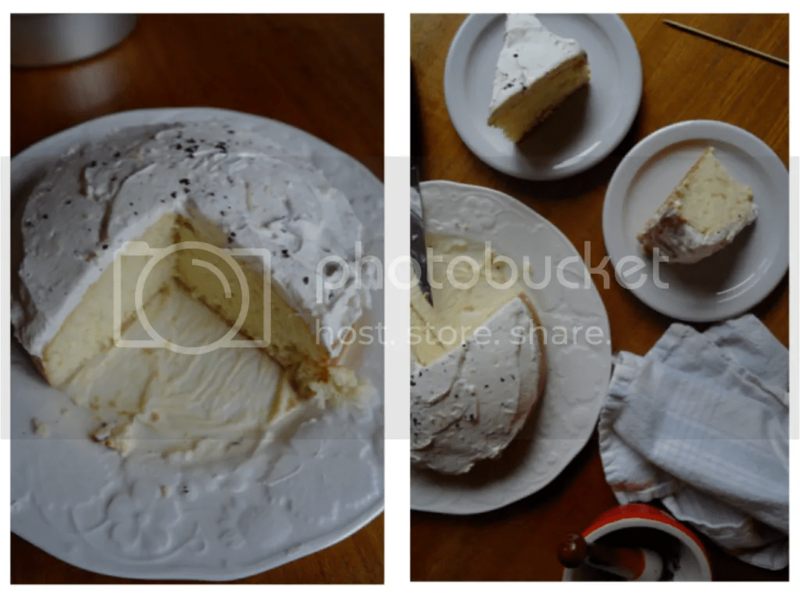 I have discovered this wonderful cake and will be a fan forever! I love all the different variations and the imaginations of all who took part in the challenge and made beautiful Tres leches cakes! What a treat! I never got to a post on our tres leches cake! I am so bad at this whole blogging thing sometimes. On the plus side, I did get to make one for the first time ever. And eat it. So two plusses there!